If you're in the market for a used car, you may be having a little trouble paying for it. 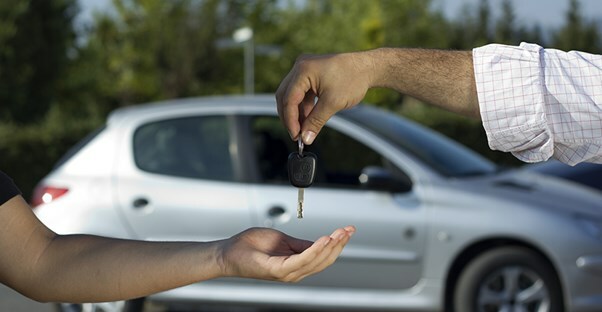 Financing a used car isn’t as easy as financing a new car. If you're having trouble, here are some tips for financing a used car. 1. Know your credit score before going to the dealership. Financing a car isn't like getting a mortgage. You can get a car loan even if you have bad credit. The only issue you may have is that you'll have a higher interest rate if you have little to no credit. When dealerships state that they have low interest rates, they usually mean this is for someone who has a FICO credit score of 700 or over. People with lower credit can be charged more. Before you settle on one dealership or company, you should get quotes from everyone who is willing to give you a loan. Shopping for a borrowing company should be like shopping for any other large purchase in your life. You should compare the amount they're willing to loan, how long the term is, and what interest rate they're offering to make sure you’re getting the best deal before you sign any contracts. 3. Keep the term as short as you can. While you have to pay more monthly with a shorter loan term, you'll end up saving money in the long run. Paying off the loan faster means you'll pay less interest over time. It's tempting to stretch payments for five years or more, but doing so will cost you much, much more as your interest increases. Plus, you may end up with a car that isn't worth the price by the time you pay it off. 4. Put as much money down as you can. One of the top tips for anyone purchasing a vehicle is that you should put at least 20% of the total price as a down payment. When you put more money down, this is taken off your initial loan. This will not only decrease the payments, but it may also affect the interest rate. By saving up and putting 20% down or more, you will end up saving a lot of money in the long run. 5. Pay for other fees in cash. Other fees can include anything from dealership fees to documentation fees, and there is always sales tax to look out for when purchasing a vehicle. All of these fees and taxes should be paid for in cash rather than rolled into your loan. Dealerships are usually more than happy to add these fees to your loan, or offer to pay for sales tax, but this will only increase the amount you owe. In the long run, you may have to pay additional interest on the amount you added for the sales tax. 6. Get a non-recourse loan. If you default on your loan, the financing company has the right to repossess your car. Sometimes, the car won't be worth what is left on the loan, so you're left with a deficit. A non-recourse loan will protect you from this issue. In the case of a default during a non-recourse loan, you will not be required to pay the difference and you don't have to have an asset valuable enough to cover the loss. 7. Work on your timing. Interest rates on car loans will fluctuate due to economic conditions. Before you go looking for a loan, research when interest rates are usually the lowest for the company you wish to borrow from. Get quotes from different times of the year as well. If dealerships aren't selling as many cars as they want, they'll be more likely to give you a better deal on interest rates. 8. If you're young, get a co-signer. For someone who is just starting out or someone who has little to no credit, you may be in a bind. Even if you are backed by a secure, well-paying job, your interest rate may be quite high when looking through financing offers. To avoid this, get a co-signer who has a good credit history. This will positively impact the interest rate on the loan and lower your monthly cost. 9. Avoid what you don't know. If you are unsure of a company or if they seem sketchy in any way, avoid them. Contracts can be difficult to read and you may end up agreeing to outrageous expectations in the fine print. To avoid sticky situations, only borrow from reputable companies. Sometimes you may be a little late on your payment, whether this is because you forgot or you are not able to afford it at the time it is due. It happens to the best of us, but don't make this a habit. When you make a late payment, you may end up paying hefty fees and penalties. Making your payments on time not only improves your credit, but it will also save you money in the long run.